Born: 17th November 1896, 36, Church Lane, Ipswich. 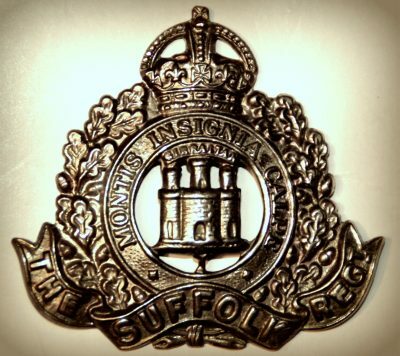 Died: 13th August 1915; age: 19; Died of Wounds at Norwich Hospital, Norfolk. 1901 22, Church Lane, Ipswich. Archie was living with his mother & siblings. Ellen Rosetta Miller (nee Wilding), 28, born Needham Market, Suffolk. James Robert Miller, 7, born Ipswich. Ellen Rosetta Miller, 6, born Ipswich. Joseph Stone Miller, 2, born Ipswich. 1911 83, Sirdar Road, Ipswich. Archie was 14 years old, a Factory Hand – Horticultural Engineers. He was living with his parents & siblings. James Miller, 44, a Carter – Borough Council, born Glasgow, Lanarkshire, Scotland. James, 17, a Factory Hand – Almond Blanching. Ellen, 16, a Factory Hand – Bag Factory. Emma Flora Miller, 6, born Ipswich. Agnes May Miller, 1, born Ipswich. Thomas M. Miller, 1 month, born Ipswich – died 1911. Oh wow! I believe Joseph Stone Miller was my Grandfather!